The acclaimed actor and director will visit the Irish Film Institute (IFI) on Friday, 8th February to take part in a Q&A following a screening of his new film, ‘All Is True’. The five-time Oscar nominee will speak with Donald Clarke of The Irish Times. Branagh’s latest film ‘All Is True’ explores the human story behind a dark and little known period in the life of William Shakespeare, played by Branagh as well. The year is 1613 and Shakespeare is the greatest writer of the age. When his beloved Globe Theatre is burned to the ground, he decides to return to his home town of Stratford-upon-Avon. There, he faces his neglected family. Still haunted by the death of his only son, Hamnet, he struggles to mend broken relationships with his wife, Anne (Judi Dench) and daughters. In so doing he is forced to examine his own failings as an absent husband and father. In the search for peace, he must also finally confront the dark heart of his family’s secrets and lies. Based on an incisive script by Ben Elton, Branagh’s film is a melancholic, restrained portrait of the Bard’s final years. 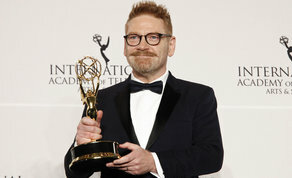 Branagh is also a producer on the film alongside Ted Gagliano, Judy Hofflund and Tamar Thomas, whilst IFTA Award winning editor Úna Ní Dhonghaíle edited the feature film.